Solar generators are an attractive power source for people concerned about the impact of petrol and diesel generators on our environments. You can always provide comfort and safety for your family during emergencies with clean, quiet and reliable power from grace renewable energy. 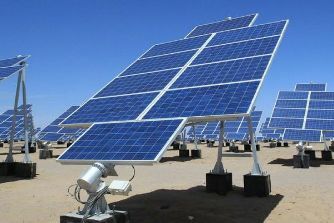 The Solar Generator can generate enough power in a day to support constant power supply required for several household appliances like Computer, TV, Refrigerator, etc. The Solar Generator is completely silent and emits no harmful fumes.